IT'S SO CLEVER ONCE YOU TRY IT YOU WILL NEVER BEAD THE SAME! and Loose Beads Into One Design! 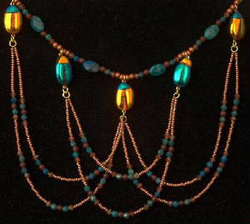 Make Endless Beaded Patterns With Professional Results In Just Minutes! * No More being stuck with designs that you don't love! * Having the ability to see your custom beading designs BEFORE they are permanent and quickly change it. Only keep your design if you decide you like it! * Start over with out losing precious time. *Keeps your bead work in a safe place and completely suspended to avoid accidents and spills! and actually make a greater $PROFIT$ from your beaded creations if you sell your work! The BeadPRO is made with durable wood and will last for years to come. It is also a tray to keep your beading supplies organized and provides a nice work space for all your creations. Create a custom beaded curtain in just hours!